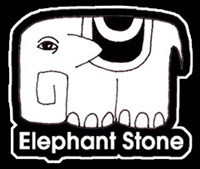 In the year of our lord 1974, 1980 & 1984. Apparently released in the UK as a television series and then in the US as three separate movies that played in limited release. Which was part of the reason why I never got around to checking this out. Typcially if there's something I'm interested in, I make a point to get on it but with only one week to check out three separate one and a half hour films and 10bucks a pop, it just wasn't going to happen. But with a weekend to lay low and On Demand things seemed to line up and I'm glad they did. Each movie was filmed in a different format by different directors and with different style, yet somehow comes across as one consistent piece of work. While you don't need to see the prior movie to enjoy the others, it would be helpful as it adds a different element to the viewing and understanding how each character is in so far over their heads and that all the digging they're doing is basically just shifting dirt from their own graves. When I was coming to the age that I might "get" what Woody Allen was about is around the same time he started dating his adopted daughter. So you can understand why I ended up avoiding his films, despite the fact that everyone in the generation of me & my friends' parents generation seems to think he's one of the great comic storytellers of all time. But I saw Annie Hall a few years ago & I have to admit it is pretty good. So today when Sleeper was on TCM I watched it instead of just changing the channel even though my friend in high school's dad had given away half the jokes & all of the story because it was his favorite movie. I don't really know how I feel about this movie. I can't quite figure out if the general plot is recycled from one precise work or if it's just combining a dozen generic sci-fi plots (modern man frozen & revived in the future, utopian leader murdered & being cloned, rebels living in the outskirts without technology). It reminds me of Logan's Run & Buck Rogers & maybe even A Clockwork Orange spliced with Woody Allen. Which I suppose is what it's goal is. I suppose that gives it all away. If you like Woody Allen & 1970s sci-fi this is a perfect movie for you. For me personally, despite my love of 70s sci-fi, I think Woody Allen is a little too corny for this movie to work. I don't feel I wasted my time watching it once & I would even think about watching it again in a social & drinking situation. Back when this came out (2004) people were telling me, “You like Fight Club & Donnie Darko; you’ve gotta check this out.” But it stars Christian Bale & I absolutely hated him in American Psycho (because I was a fan of the novel & I think the movie is a misinterpretation of it (which I suppose is more the fault of the screenwriter & director than Bale)). But when I watched the new Terminator movie I felt like Bale is an okay actor & I was just having a bad view of him from seeing a few less than stellar movies. So I was at my brother’s house & he had The Machinist in cue for his Netflix stream & so I watched it. Basically it’s another “Owl Creek Bridge” alternate reality movie & it’s fine. I can’t really tell you what makes one alternate reality movie special to me & another one just a movie. Maybe it’s just what kind of week I’ve had before watching it. (Spoiler) If the ghost had been his father instead of himself, I think the movie would have been a lot more interesting to me. Or maybe if I hadn’t walked into the movie knowing the twist it would’ve worked better as well. The extreme thinness of Bale in this movie was funny to me, because granted he’s probably taller than me, but the waist size (26) is the same as me & I only weigh 125 pounds (he’s down to 121 in the movie) & a few years ago when things were screwed up in my life I dropped down to 112. I think 114 was the most I weighed until I was 25. Did I look as skinny & sickly as this? No wonder the ladies didn’t know what to think of me…. 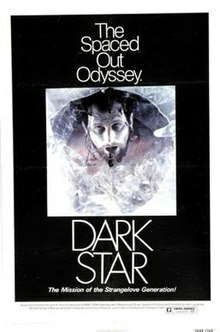 Dark Star is John Carpenter’s first film or his student film depending on who you want to believe or which version you see. I’ve had mixed feelings about Carpenter for my whole life. Movies like The Thing & Escape from New York were movies that came home from the video store shortly after we got a VCR when I was 8 years old & I love them to this day. However Christine & Halloween (which I had somehow seen earlier on HBO when my family would have our annual beach vacation) I always thought were horrible. So even though I knew about this film & its connections to films I like (the co-writer of this Dan O’Bannon wrote Alien & the story is the special effects guy went on to work on Star Wars), I was in no real rush to check it out despite being a pretty big sci-fi fan. As fate would have it AMC put it on their free streaming service (it is still up here at the time I’m writing this for those who are interested). I don’t know how I feel about it after watching it. There are parts of it that are good (that the astronauts seem to be blue collar jack-asses instead of scientists) & parts of it that are pretty awful (the beach ball sub-plot (couldn’t you have spent an extra $50 for a better monster?)). However, I think if this were Russian with bad sub-titles I would have loved it. Maybe if I saw the original version that was 40 minutes shorter I would dig it. But as it is… well, I could waste my time watching worse things, but I’m sure I could spend my time watching better things as well.